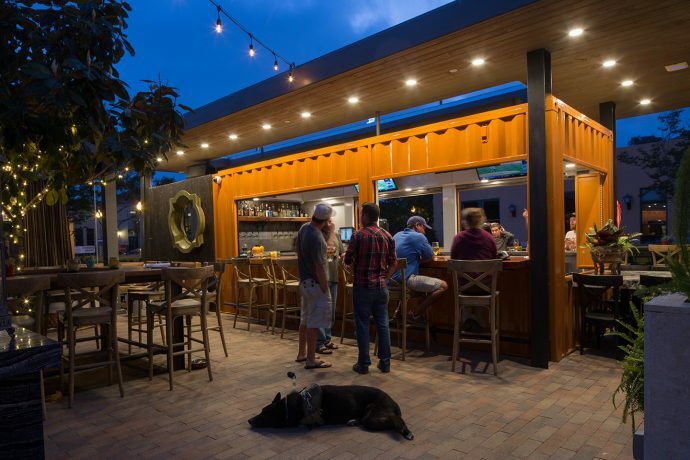 2,700 square foot renovation of the original fire station in the historic Liberty Station in Point Loma. 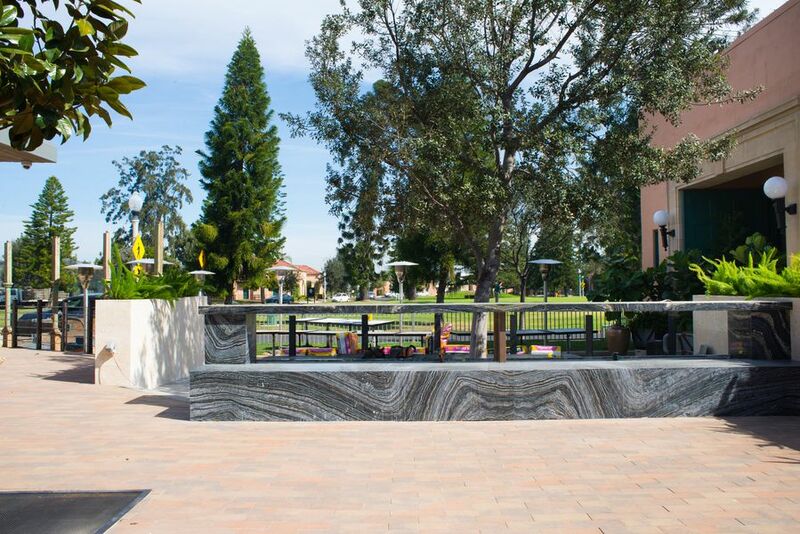 Formerly a Naval Training Center, the vast campus is made up of buildings in classic Spanish Revival Style and open grassy areas. 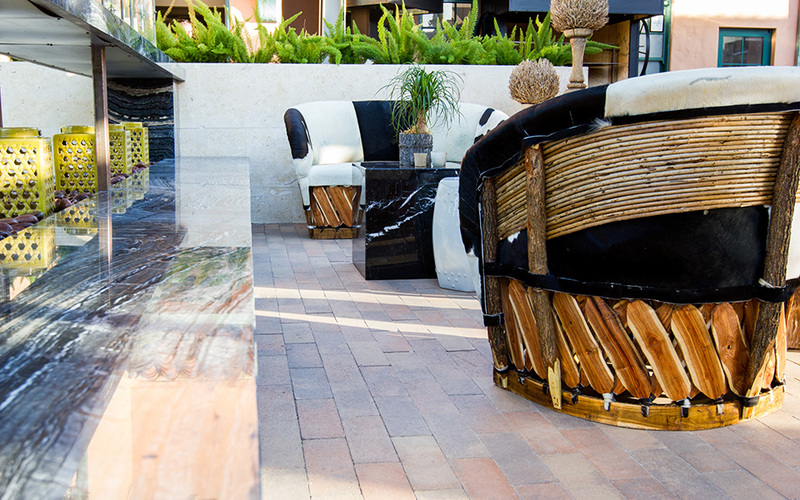 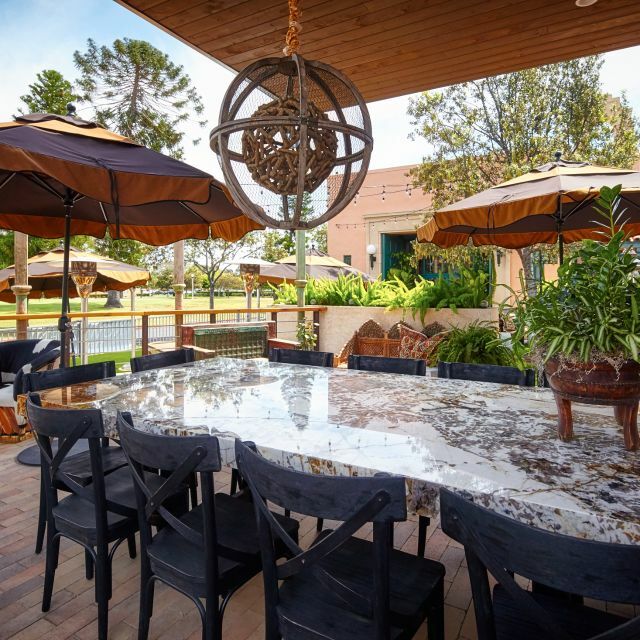 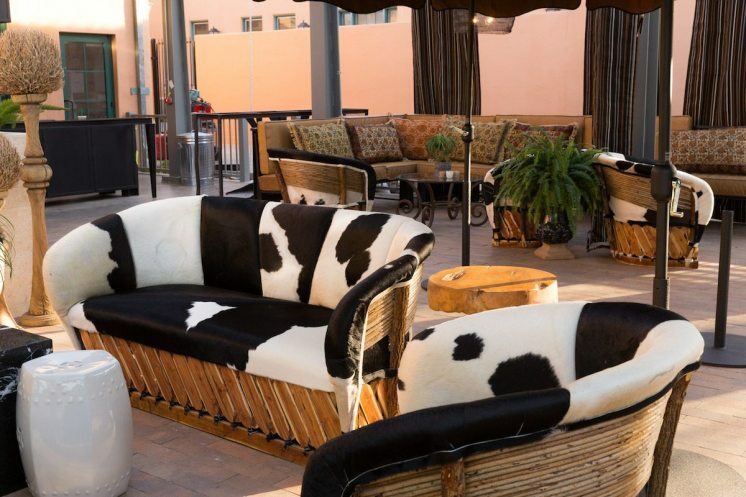 Great care was taken to preserve the historic elements of the building exterior while trellis and shade structures in the large patio areas provide ample seating to enjoy the mild temperatures San Diego is known for. 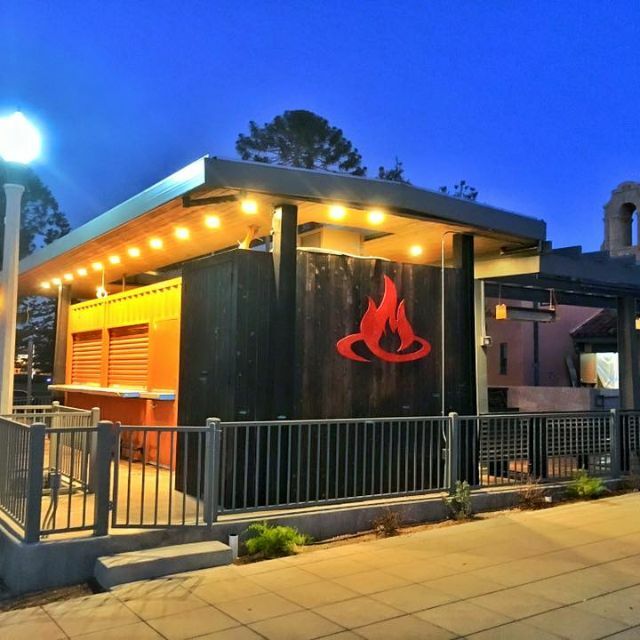 True to its name, Fireside showcases food prepared in a brand-new commercial kitchen and finished in the wood burning pit and pizza oven. 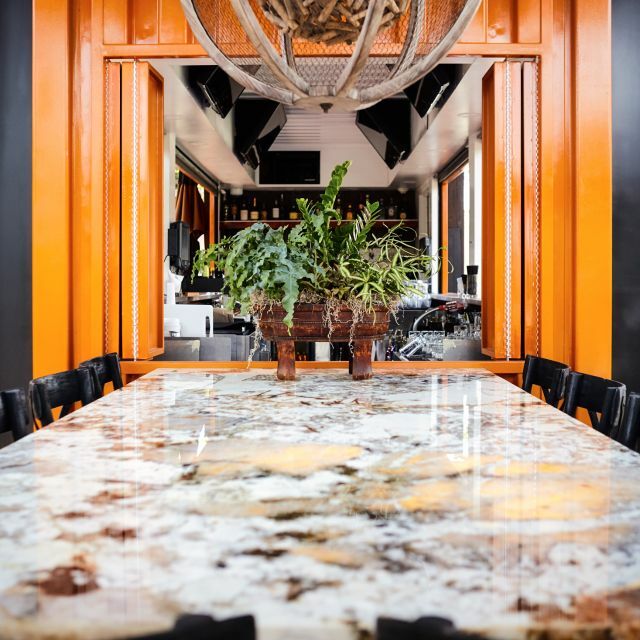 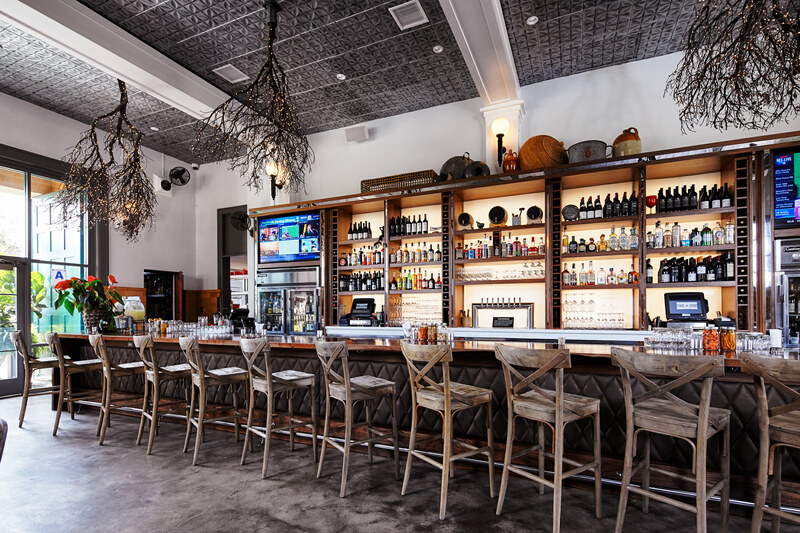 The high ceilings in the old firetruck bay are lined with custom ceiling tiles and the molding wrapped around the beams continues down along the fully stocked bar wall.